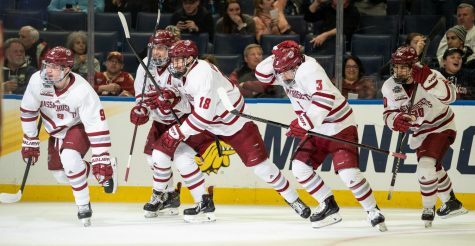 While Massachusetts hockey team alum and NHL All-Star Jonathan Quick is setting the hockey world on fire with the Los Angeles Kings, 2011-2012 UMass hockey co-captain T.J. Syner, along with fellow senior Michael Marcou, are carving out professional careers of their own. Syner, who joined the Hershey Bears, the AHL affiliate of the Washington Capitals, has played 10 games since joining the team in March, tallying an assist in his AHL debut. The 5-foot-9, 173-pound Springfield native’s hockey days started as a 7-year-old after taking up roller hockey. Syner took to the ice a year later, when he started on his path to the New England Junior Falcons of the EJHL before joining the Indiana Ice of the USHL. Syner joined the Minutemen in 2008 before eventually finding himself in the AHL playoff picture four years later. Formerly No. 15, Syner adopted No. 14 upon moving to Indiana and kept the jersey number throughout his collegiate career. Upon arriving to “Chocolatetown,” the humble forward was happy to take No. 24 since Bears veteran Cody Eakin occupied his first choice. 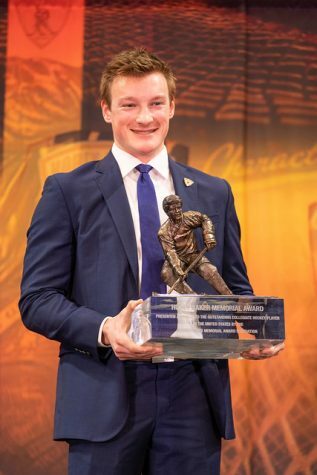 When asked about his transition to the AHL, the Hobey Baker nominee noted he was nervous, but the warm reception from his new teammates kept him at ease. Syner candidly noted how much the level of competition has changed since his move to Hershey. Former teammate and UMass alum Paul Dainton offered sage advice on life in the AHL to his friend. “When I first made the decision right away, [Paul] was really excited. 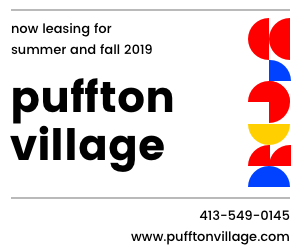 He talked about the transition of not going to school anymore while playing professional hockey, [managing your time], staying busy [and] staying out of trouble,” said Syner. 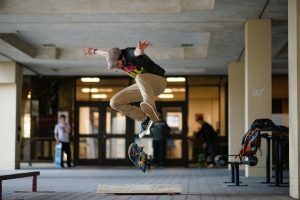 Outside of his daily routine, Syner claims completing his schoolwork away from campus has been his biggest challenge so far. On the positive side, Syner agreed there is no temptation of “Berk” – referring to the Berkshire Dining Commons on campus – in the real world. 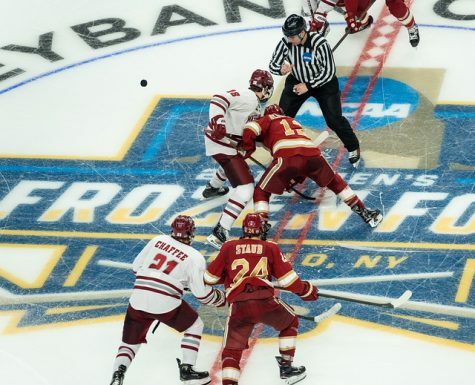 After watching childhood friend and current teammate Barry Almeida win a championship with Boston College this season, Syner is hungry to win a title of his own. 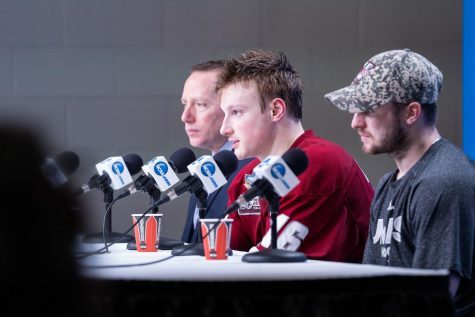 Despite not winning a championship with the Minutemen, Syner considers his time in Amherst as the best four years of his life so far. “From the coaching staff to my teammates, they’re a great group of guys and lifelong friends that I’ll have forever,” said Syner. 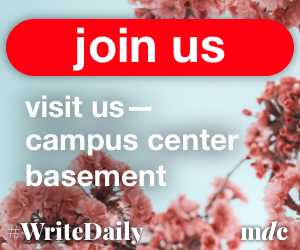 “The fans in the student section are not comparable to anywhere else. We had the best student support from our school and that’s something I’ll never forget. 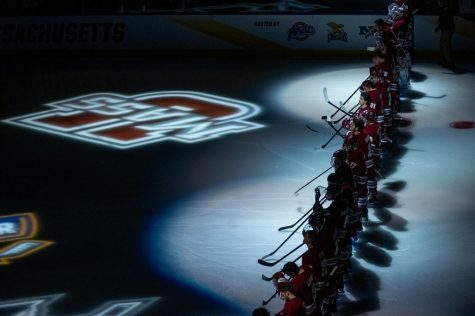 Almost 8,500 screaming fans when we step out on the ice for warm-ups; it’s a true testament to how committed our students are to sports in general at UMass. 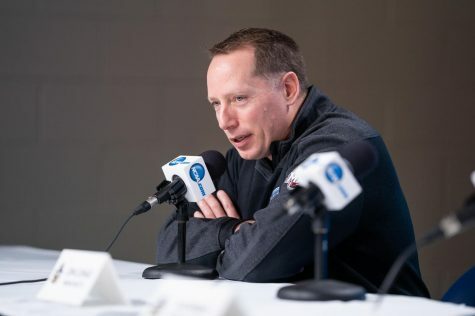 UMass coach Don “Toot” Cahoon has been at the helm for over a decade, and is a key factor in the hockey program’s recent success. He has been instrumental in Syner’s development and continues to act as a mentor for his former player. “[Cahoon taught me] my biggest asset is competing every shift and not taking any shifts off or relying on just my skill,” said Syner. Cahoon, currently recovering from hip surgery, will return to a squad that Syner believes is “ready to step up” despite the departure of himself and defenseman Michael Marcou. Marcou had his “dream come true” when he joined the Edmonton Oilers’ minor league affiliate, the Oklahoma City Barons, after signing an amateur try-out agreement. 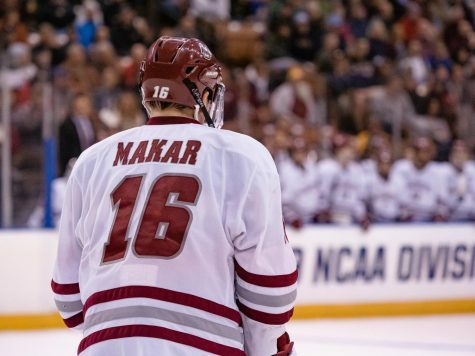 “It was something I’ve been working for my whole life,” said Marcou, who scored the overtime game winner at this year’s Frozen Fenway against Vermont Jan 7. Like Syner, the Kings Park, N.Y., native was heavily influenced by Cahoon during his time at UMass. After playing two games for the Barons, he was released before entering the 2012 Calder Cup Playoffs. When asked about his hockey future, Marcou remained upbeat saying his ultimate goal is to sign a contract. Having a great appreciation for the players and coaching staff in Oklahoma City, Marcou is hoping to find himself on the Barons roster again and eventually the NHL competing for the Stanley Cup with the Oilers. 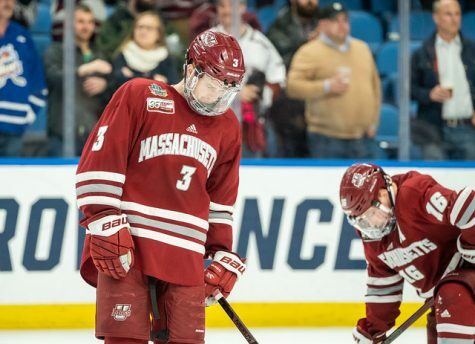 When talking about his brother, UMass alum and Worcester Sharks forward James Marcou, the senior enjoyed the opportunity to play his first two seasons with his brother. “Playing with my brother was an exciting thing to do at school,” said Marcou. 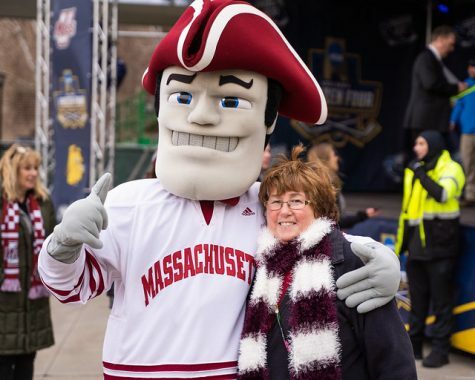 “Not many kids get the opportunity to do that.” Like the rest of the UMass community, Syner and Marcou are looking forward to watching this year’s Minutemen fight their way back to the Hockey East playoffs. Speaking of the defending Stanley Cup Champions, when asked if the Bruins will win back-to-back Cups, T.J. Syner skated around the question saying he hopes his hometown team and his parent club, the Washington Capitals, both play well.